Do you remember the ‘old days’ in 2008 when people at conferences or parties would bump their phones together to exchange their business cards digitally? What ever happened to that app, known as Bump? On Monday, what happened is that Google bought Bump. 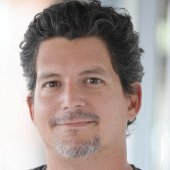 Bump in the beginning raised over $20 million in venture capital but it never did get off the ground. Google paid around $40 million for Bump, according to media reports. Bump did reinvent itself a number of times. It first was sold as a tool to exchange a digital business card, and then as a different type of social network, and then as a way to share files. Most recently, it became a photo sharing app known as Flock. It also licensed the Bump technology to several other developers, who used it to exchange money or even sexual compatibility information. 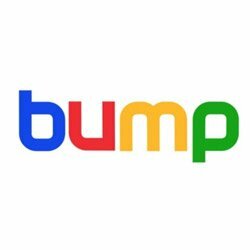 The latest versions of Bump had a very important feature that Google wanted: A very simple function and design even though it has complex programming. The app by Bump for exchanging information got signals from cell phones and routed them to its servers, where it matched them up with several other phones that were sending out such similar signals. Flock then uses location technology and algorithms to figure out that a certain group of friends is taking pictures at the same place. It then invites each friend to add photos to a joint album. This Google acquisition happened right after Apple announced that it had a new wireless file sharing tool known as AirDrop. The Bump technology could draw interest from Android. The Flock photo app seems to be a good fit for Google Plus, which has been trying to sell itself as an advanced photo sharing service. Google, which was ripped by Larry Ellison recently as evil, won’t say what it wants to do with Bump, but it did note that the team at Bump[ has a strong ability to build and develop products that users like, and Google thinks the company is a good fit. Count Bump as yet another company with which Google has partnered lately.